From Newton’s Second Law we can derive the equation of Force. If F is the net force applied on an object of mass m and the mass moves with an acceleration a then the equation goes like this, F = m a. 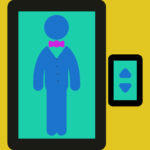 In this topic, we will see an application of Newton’s Second Law in 5 selected cases of Elevator movement, which will help us to solve elevator problems in Physics with ease. To solve these elevator problems in physics students need to understand couple of terms first like Normal Reaction, Weight, Net Force and Acceleration. Related posts in this BLOG can help to get these brushed up, if required. The Links are listed below. When an object is kept on a surface, its weight (W = mg) acts downwards towards the center of the earth. Here m is the mass of the body and g is the acceleration due to gravity. The surface in turn gives a Reaction Force (R). This Reaction works in a line perpendicular to the surface towards the object. If the surface is a horizontal surface like the floor of the elevator, then the normal reaction acts just in the opposite direction but in the same line of action of Weight. Say a person is standing in an Elevator. his weight is acting downwards towards the floor of the elevator. The elevator surface in turn is applying a Reaction force. Lets start with our case studies from here, with this understanding. To note that the movement is possible in Y direction or vertically only, for the elevator system we are considering. Also pls note that for the 5 case studies listed below, the observer is considered to be on a non-accelerating Inertial frame of reference. The elevator is not moving. The weight of the person W and reaction force R are the only acting forces on the person at this moment. As there is no movement, its pretty clear that there is no change of velocity, therefore no existence of acceleration. W and R are nullifying each other. So the net force = W + (-R) , here sign of R is taken negative to consider its direction which is opposite to W.
This means the reaction is equal to the weight of the person itself. So the person will feel the same weight he feels normally. The elevator is moving with constant velocity. This movement may be upwards or downwards. Like the case 1, here also there is no acceleration of the system as its moving with constant velocity. So no net force acting on the system. ∑Fy=0. Here, total force along Y axis is W + (-R) = W – R .
And W – R = 0 . So R = W.
This is the same feeling of Reaction force for the person inside the lift, which is just equal to his Weight. The elevator is now moving upwards with an acceleration say a. So obviously in this case there will be a non zero net force working on the system. So its very clear that unlike the first two cases, the Reaction force is no more equal to the Weight only. Now its more than the Weight of the person. Therefore in this case the person will feel heavier than his normal weight. The elevator is now moving downwards with an acceleration a. So again in this case there will be a non zero net force working on the system. As the elevator is moving downwards, i.e. in the direction of Weight, therefore the net force would be W – R downwards. So its evident that the Reaction force is not equal to the Weight in this case as well. Now its less than the Weight of the person. Therefore in this case the person will feel lighter than his normal weight. This is a special case. Say due to some reason the rope of the elevator is torn. Naturally without any other support available, the elevator is now moving downwards. And its going downwards with an acceleration g (9.8 m/s^2) due to the effect of gravity. The elevator is on a FREE FALL with an acceleration equal to the acceleration due to gravity (g). So again in this case there will be a non zero net force working on the system. So its evident that the Reaction force is 0 this time and the person inside will feel weightless. Now as said above the above listed case studies are analyzed considering the observer is on a inertial frame of reference. We have discussed one more intersting elevator case study with respect to an observer who is in a non-inertial frame of reference. We have applied the concepts of Pseudo force to apply Newton’s laws in that case. ****One set of numerical elevator problems is listed in the following paragraph. You may solve these using the above case studies. Watch for the next version for some harder numerical problems. Happy reading and problem solving. Pls note: who are searching for Lift problems this tutorial will help you. 1) An object of 100 Kg mass is kept on an elevator surface. The elevator is moving with a constant velocity of 3 meter per second. What is the normal reaction on the object in Newton? 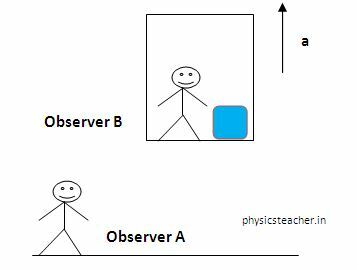 2) A 40 Kg boy is moving upwards in a lift with an acceleration of 2 meter/second^2. What would be the weight felt by him, if measured in a scale? 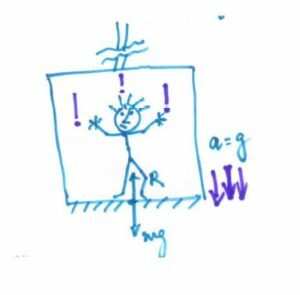 3) A 70 Kg old person is moving downwards in an elevator with an acceleration of 3 meter/second^2, What would be the Normal Reaction on him applied by the elevator ground surface? Now What can you do? Dear Reader, Hope you have liked this piece of tutorial. Now it’s your turn to take this to a bigger reader base. Please spend some time to use the social media share buttons on this page and share as much as possible.